“I know they say you cant go home again. 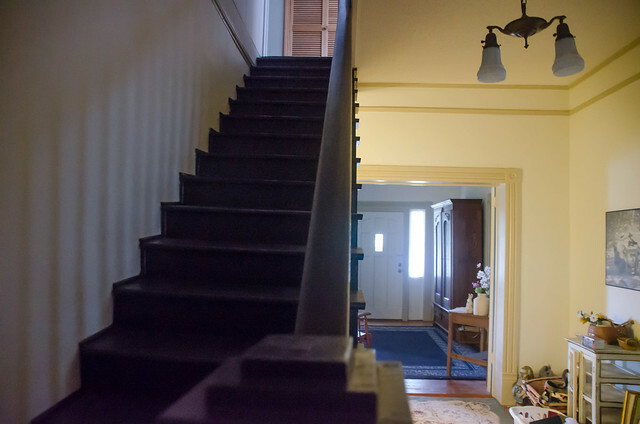 Slowly climbing the stairs of the old southern house, dodging each creaking plank by memory and out of habit I make my way to the small back bedroom. I glance up at the ventilation window over the fireplace in my childhood bedroom and smile as I recall the countless nights I somehow squeezed through and hoisted myself onto the roof to listen to the crickets and watch the stars. I almost feel that if I could get quiet and still enough, memories would start to come alive. Loved relatives who are no longer with us don’t seem so far away for a moment… faded recollections of simple sweet times spent together come rushing back, warm and vibrantly detailed. I close my eyes and I can almost smell the apple pie in the oven, hear the piano from the front hall and feel the crisp air slipping under the front door accompanied by laughter from the front porch swing. This is home. It’s been the only place that has ever really felt like home, anyway. My grown up and married years have been so transient, moving every year or two – this place and the people it represents have been my base, an anchor. When life seems painful or confusing or raising kids seems ridiculously hard I know I can curl up in the front porch swing and wait for the sun to set over my old climbing magnolia tree and I can nearly hear the faint sound of my grandmas wrinkled precious hands playing “It Is Well With My Soul”. All of a sudden I remember that each hard and beautiful moment is a gift. I realize that when my future self looks back all of the current worries will seem trivial. It’s magical, really. Having a place so saturated with the simplicity of my childhood that just being here helps me remember that everything outside of faith and family can wait. It’s a bittersweet swing ride today, though. I have my arms around Jack and I fight to hold back the tears but (being the most intuitive 3 year old I know) he instinctively keeps asking “what’s wrong, mama?” … followed by “and when is the train coming? ?” We have just finished dinner and he knows the evening train will pass right by the front stretch of land soon and blow it’s majestic horn. I wish I could bottle up this moment for him. The golden sun, the slight breeze, the wind chimes harmonizing with the black bird perched above. I’m not sure if it’s possible to store memories as young as he is, but I say a quick prayer that he’ll be able to hold onto this one. He doesn’t know it, but we have come to say goodbye. 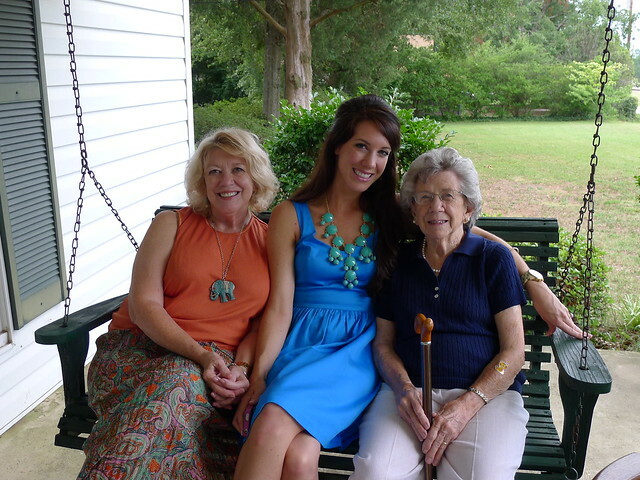 We drove 10 hours with two toddlers to help my mom sift through the family belongings, take one last walk on the land, one last swing on the porch and gather around my great grandmas table for my favorite southern dinner one last time. It all seems too heavy to process, not being here for the Holidays and not having our big family gathering at all this year. This homestead that feels like mine has belonged to our family long before I was born. I know my mom and her 6 brothers and sisters who also grew up here must be doing some internal reminiscing as well. This week many family members have stopped by to help with various tasks in preparation of the move and I’ve watched many different reactions as they took a seat on the front porch. We’ve shared tears and stories, each perspective unique but each person seems to carry with them a significant imprint from their time spent here. (My uncle Tom wrote a blog about his perspective and a great history recap here.) In a way I can’t help but feel like letting go of this place is also saying farewell to family. I know we will see each other again, but probably not as often. This has been the hardest goodbye. We have a very big extended family and this house has been our meeting place for 45 years… it is our common bond, a place for the Taylors to gather Thanksgiving and Christmas. My favorite memory is of a tradition that started when my grandparents were alive. 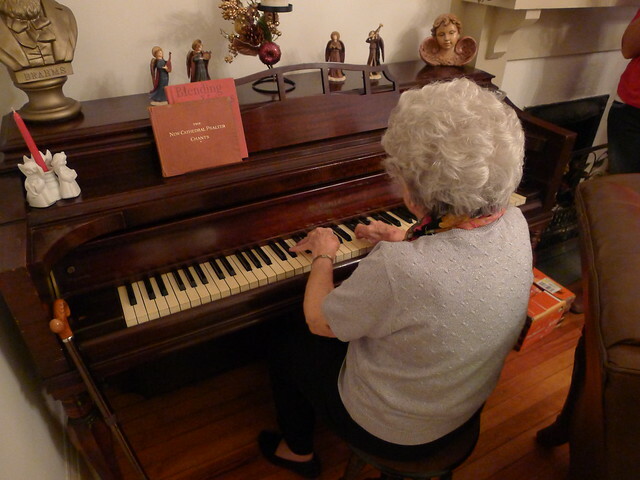 Grandma would call for everybody to gather around the piano in the front hall, then hand us sheet music. Musical talent runs in the family and her eyes would gleam with pride as she listened to all of the generations sing her favorite hymns and carols… the grand finale was always the Hallelujah Chorus. Just before the sun fades into a dusty glow Jack looks up and smiles at me, and it’s like God decided to use his big brown eyes to remind me that although this place is special, it’s just a place. Just a thing. Things come and things go, what matters is that we have each other and as long as we do, anywhere can be rich with love and saturated with treasured memories. 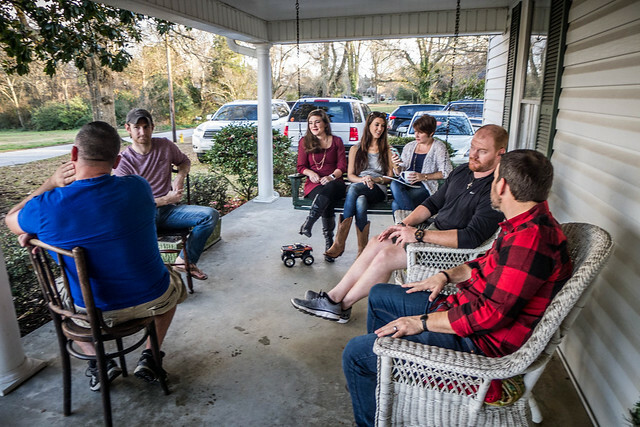 Extended family gatherings may require more intentionality but we do still have each other. This may be my first Christmas not spent in the house, but it will still be joyful, and we will still sing. So, as bittersweet as it is, I’m going to choose to hold onto the sweet part of closing a chapter. It means a new chapter is about to begin, and I get the ultimate blessing of filling two little boys up with joyful rich memories of their own. One more thing… to the new young owners: You seem sweet. Plant a garden in the back yard… there’s a dip in the land after the hill that gets just the right amount of sun. The ivy growing over the arch in the back is actually a muscadine vine. I hope you can find a way to prune it for next season… they’re truly the best I’ve ever tasted. The window in the upstairs hall leads to a sturdy nook on the roof practically made for watching the stars and listening to the crickets… it’s a perfect spot to hide away for a breath of fresh summer air or a glass of wine. I know this place needs some work, but as you fix er’ up I hope you see the need to keep the fireplaces in almost every room… there’s something regal and sacred about them. Most of all, I hope you fill the rooms with love and laughter and care more about being present than being perfect. That is absolutely beautiful, Katie. Nice remembrance of the old house. Oh Katie, as I sit here sobbing, I feel what you are saying. You are such a wise and beautiful young woman. I cry because I too remember saying goodbye to my family home. Treasure the memories and make new ones with your precious boys.They will love your Gray Court stories! Much love to you! 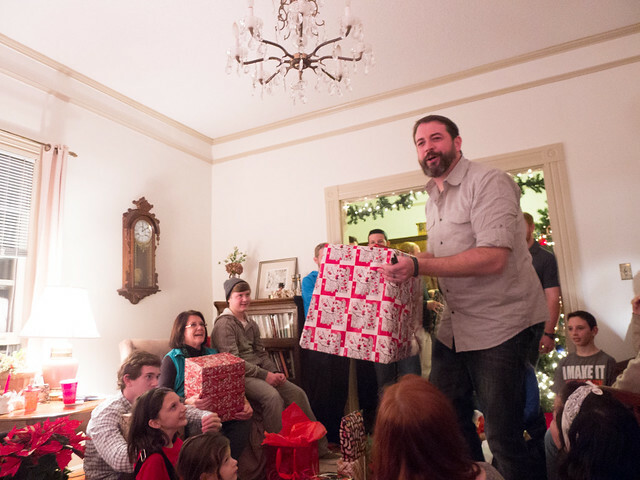 “… helps me remember that everything outside of faith and family can wait.” Great post! Thanks Katy …. and Glynda. That was beautiful! You’ve captured the essence of a beloved family home that will resonate with others who find themselves doing the same thing someday. This is beautiful! What a wonderful recollection of family memories made there! Cherish each and every one, they are priceless and in the end those are what matters. God bless you all. I have some good memories of thqt homeplace too. Love the many you shared. I know that feeling. And you are right; places bring their memories back. Your holidays in other homes will too, the recipes, the stories. The “old homeplace” will live on in your soul.